Dental implants are one of the most popular and successful ways of replacing teeth that have been extracted or have fallen out due to dental decay or damage. Their revolutionary and unique design enables dentists to replace both the root of the tooth as well as the visible part seen above the gum – something which cannot be achieved with any other tooth replacement solution. This means that no damage-causing pressure is placed on any of the surrounding teeth. Since they are literally rooted into the jaw, implants are also the most secure and durable of all prosthetics. Although offering a completely functional solution, their naturally attractive appearance means that dental implants are also regularly chosen by patients who are looking to improve the appearance of their smile as well as how it is used. 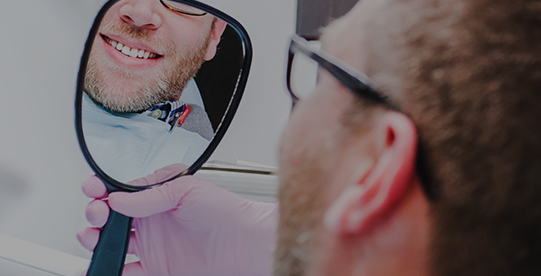 At Divine Smiles Dental, we are able to provide the highest quality dental implants to a range of different patients, enabling everyone to enjoy a full restored and naturally beautiful smile. Dental implants contain two key elements that are connected together to form the entire tooth replacement. The first is a titanium post. Titanium is a biocompatible material meaning that it is almost never rejected by the body. This post is inserted into the jaw bone beneath where the missing tooth would be. The disruption to the bone to place the post stimulates it to grow around it, securing it permanently in place. This process is known as osseointegration and is an essential component of the dental implant process. The success of the procedure hinges on its success. For this reason, our dental team will need to be satisfied that osseointegration has been successful before you will be fitted with the second element of your implant – the artificial tooth. After fitting your implant post, you will be given a temporary crown until osseointegration has been confirmed. The second element of dental implants is the visible portion of the tooth. This is made from a porcelain crown that has been custom-designed to perfectly fit in the space where your tooth is missing. This is then attached to the implant post, which protrudes up through the gums. This completes the dental implant. There are a range of reasons why dental implants are becoming the preferred solution for tooth replacement for many patients. Here are some of the key benefits you can experience when choosing dental implants. Once in place, implants are permanent. Since they are anchored to the jaw bone, they are immovable, and patients do not need to worry about their teeth coming loose when they eat, drink, laugh, kiss, sneeze and more. This enables them to get on with their lives without compromise. It also means no embarrassing slips that cause them to feel self-conscious. Since each dental implant replaces a missing tooth in its entirety without relying on support from surrounding teeth, they are considered much more comfortable than any other solution. In fact, most patients soon forget that their implant isn’t actually a natural tooth. Dental implants cannot be taken out to be cleaned. However, you can brush and floss them just like natural teeth, making it easy to stay on top of your dental hygiene. Better still, since they are made from artificial material, you don’t need to worry about them developing a cavity. Dental implants have been shown to be the most durable and long-lasting of all prosthetics, and with proper care and attention, your implant could last you more than 25 years. If you have a gap in your teeth that is causing you to feel embarrassed about your smile, or if it is affecting the way that you use your teeth, you could benefit from dental implants. 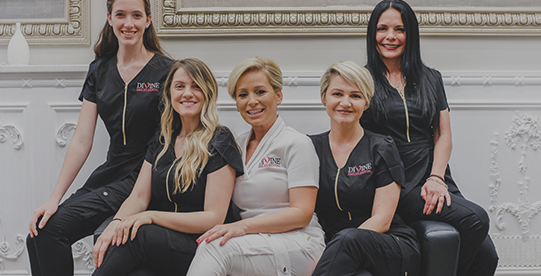 To discover if you are a good candidate for this highly effective tooth loss solution, please don’t hesitate to contact our New York offices to schedule a consultation with our experienced and reassuring implant specialist, Dr. Rubinoff, Contact Divine Divine Smiles Dental.